Chrome is a pretty simple browser on the outside, but there are tons of pages built in for advanced settings, tweaks, tests, and more. All of these pages are hidden behind the chrome:// prefix—here’s a look at some of the best. Before we get into that, however, it’s probably a good idea to explain how these chrome:// pages work. You enter chrome:// into the omnibox, followed by the page you want to access—think of it like a web page, but instead of http:// being the prefix, it’s chrome://. And that’s all there is to it. 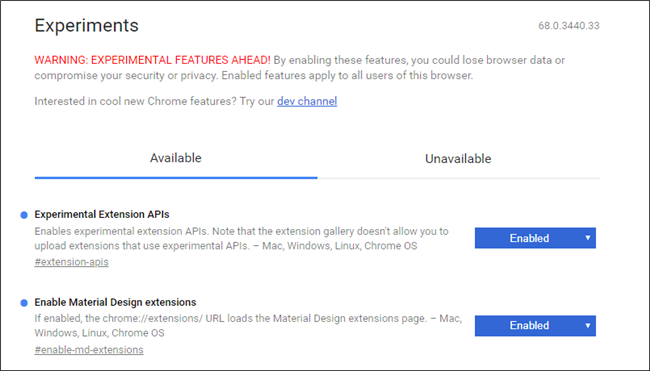 You can do this for any of Chrome’s internal pages. The most useful of all the chrome:// pages is probably chrome://about, because it shows all of Chrome’s other internal pages in an easy to parse (and click!) list. As you look through the list, you’ll find that a lot of these link to specific pieces of Chrome’s settings menu—like chrome://chrome, which takes you to Chrome’s update page. Or chrome://bookmarks, chrome://apps, and chrome://newtab, all of which open those respective pages. If you’re just learning about chrome:// pages, this is a good place to start exploring and learning the ins and outs of these hidden internal pages.